Malware is an ailment many companies suffer from but the prescription for protection is simpler than you think. 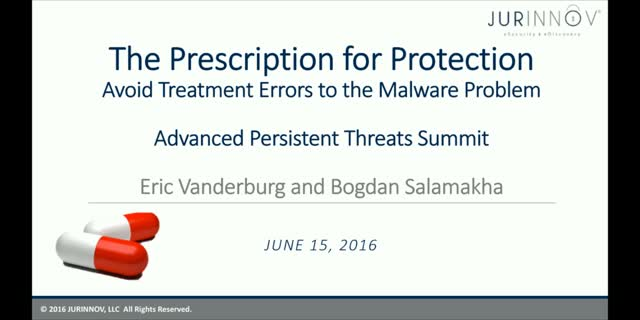 In this presentation, Vanderburg and Salamakha apply the five rights for avoiding drug errors to the malware problem. 5) Right time – Staying up to date. Stay healthy, stay safe.